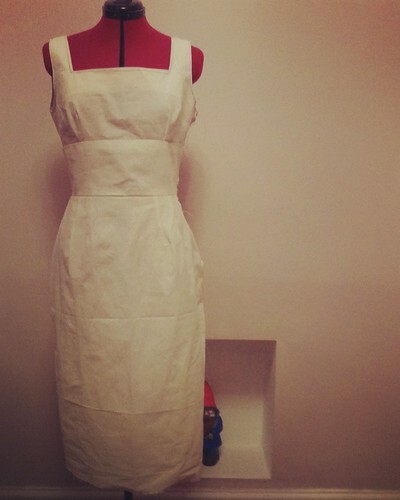 If you’ve read my previous blog you’ll see how my muslin turned out. 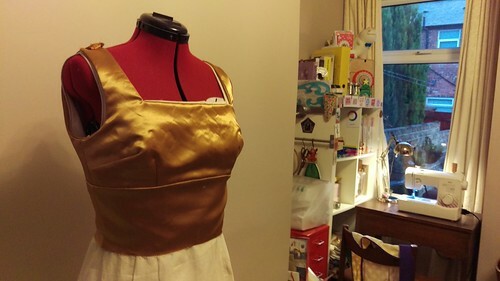 With just a week to go I set out to sew up my dress in the lovely gold satin I’d brought back from Vegas a couple of years ago. I read prior to this that you should try and store your satin rolled rather than folded due to the crease factor. I did this but to be honest it still creased a fair amount. 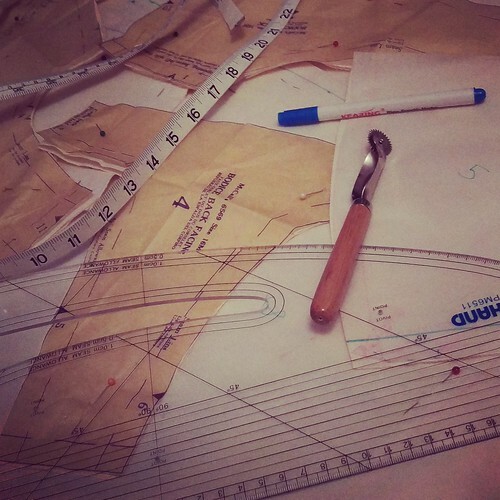 I spent a whole night cutting out and marking up the pattern pieces (including the adjusted pieces – see my other blog). My, my, what a pain in the arse. It turns out satin is the most slippery material known to man (slight exaggeration, but it did feel like that at the time). 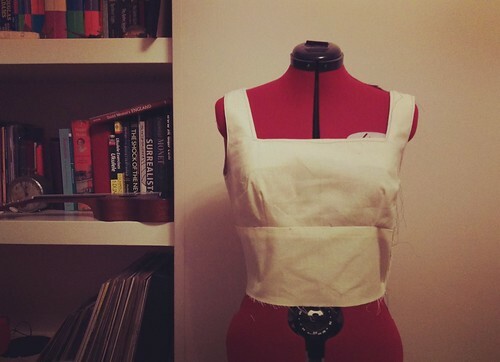 The following day I sewed the bodice together which went very well but then it was time for the lining. 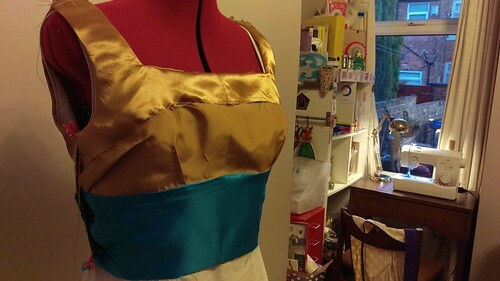 I should say at this point I have never lined anything in my life but as I was sewing with satin I thought it would probably be a good idea just to bit the bullet and do it. 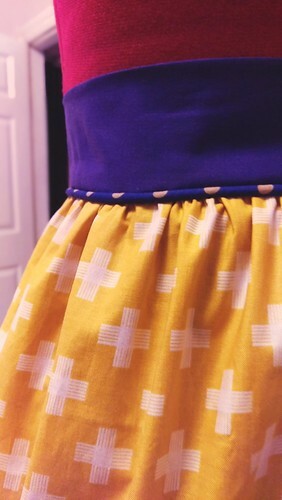 I spent about an hour trying to figure out how to sew the lining in, which way it went round to ensure the seams couldn’t be seen. 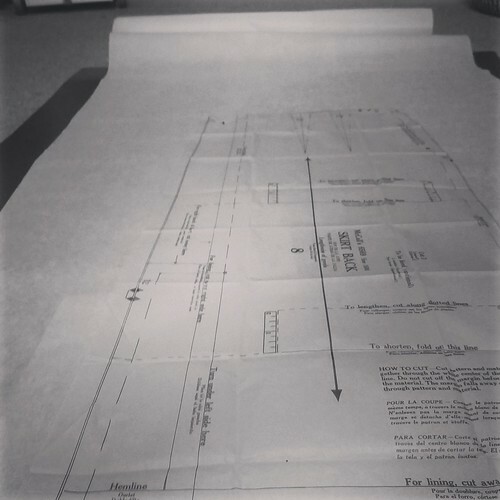 I have to say – vintage instructions are not a dyslexic’s friend the best of times and this was no exception. After lots of umming and ahhhing and tearing my hair out I finally figured it out and it did actually look pretty good. 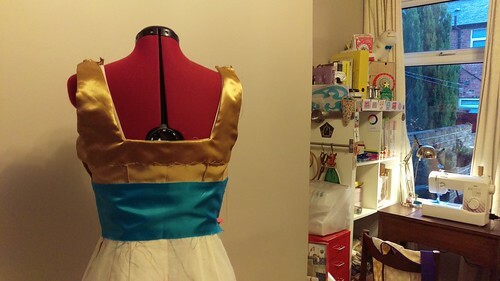 I spent a long night sewing the lining to the skirt pieces following this, and here was where I made one of my major mistakes. 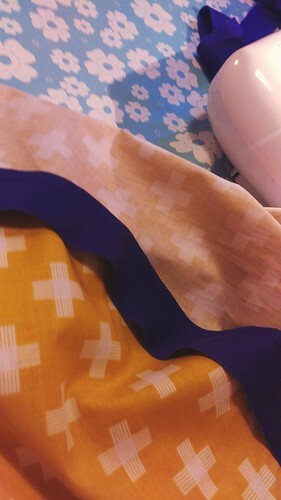 I have no idea how I marked the fabric up wrong but somehow I managed to. 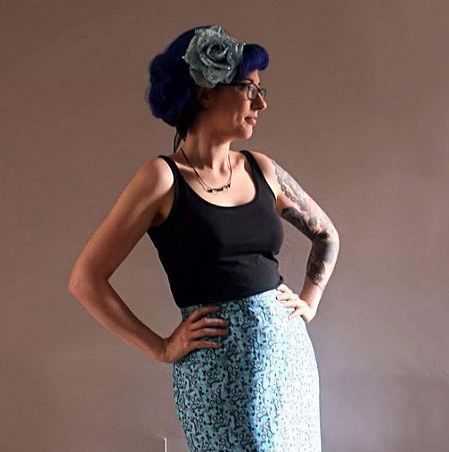 When it came to the later stage of sewing it together it meant that I had a row of stitching down the back of the skirt next to the centre seam which I then had to unpick. 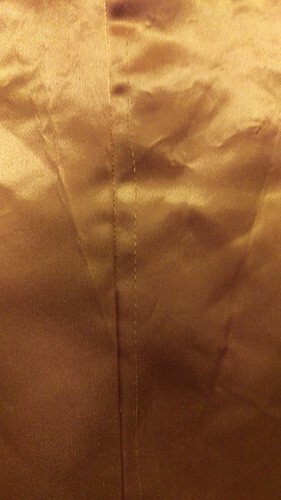 Unfortunately, as I was sewing in satin it did mark the fabric so my dress is not so perfect, but we make mistakes to learn from them don’t we? More on that point later! 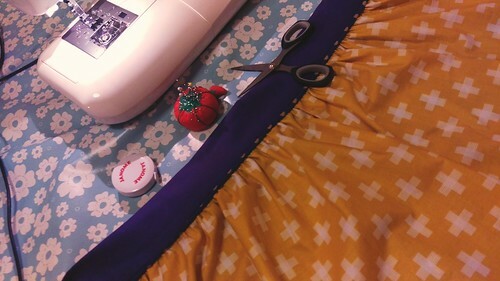 With a day to go to my anniversary (and after a lengthy trip to the dentist for two fillings) I spent a full day sewing the skirt pieces together (while keeping an eye on the clock so I could be sure I wouldn’t be late picking up Ash from nursery and hoping that some semblance of feeling would return to my ridiculously numb face). 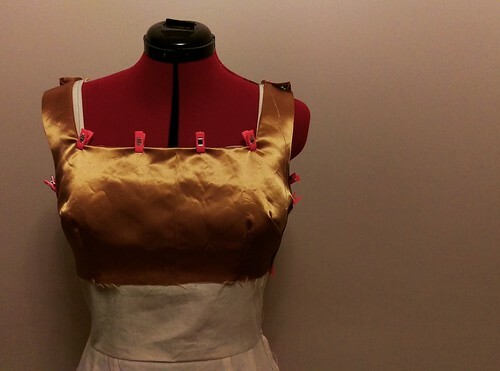 I attached the skirt to the bodice with relative ease and inserted the zip. 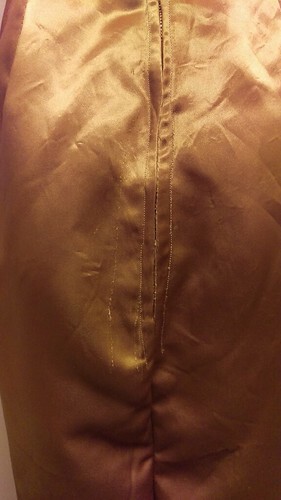 Mistake number two: I was silly enough to not check that the fabric was taught when I basted the zip in, meaning that when I went to sew it I, again, had a big chuck of stitches to unpick which left a rather messy side zip insertion. 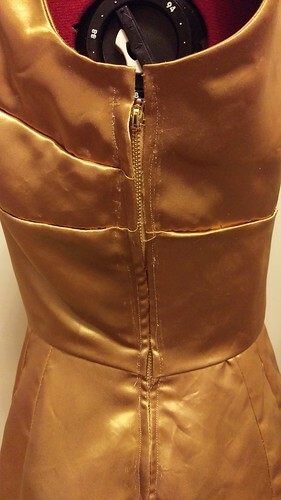 Thankfully it’s a side zip so really no one’s going to see it unless the come up really close to have a look . 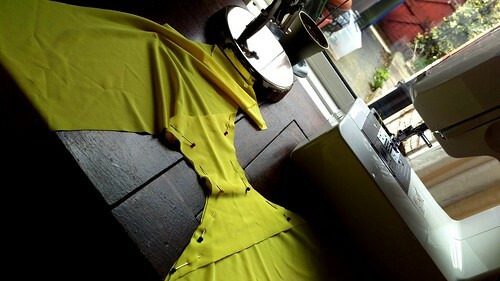 I finished sewing the lining pieces together at the waist and was quite impressed with how it looked inside out. At this point I thought I should just leave the hemming to my anniversary and cut my losses before I cried. 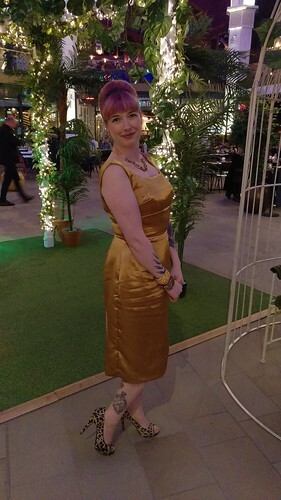 So the day of my 10th wedding anniversary (last Friday) I sewed right up to the last minute but I did finally finish my dress with a couple of hours to spare, and I did get all dressed up and we did go out for the first time on our own in seven months. And here I am in my dress! 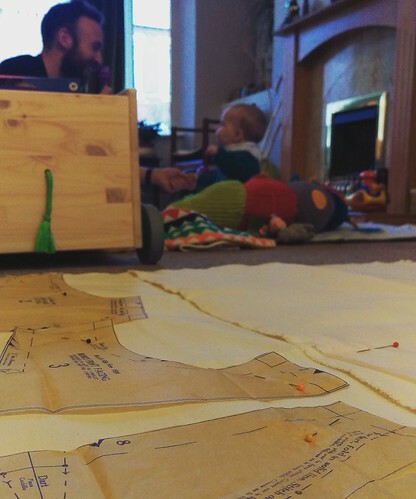 I learnt that sewing to a deadline when you have a young baby may not be the right amount of pressure to put on yourself when you’ve just gone back full time to work! 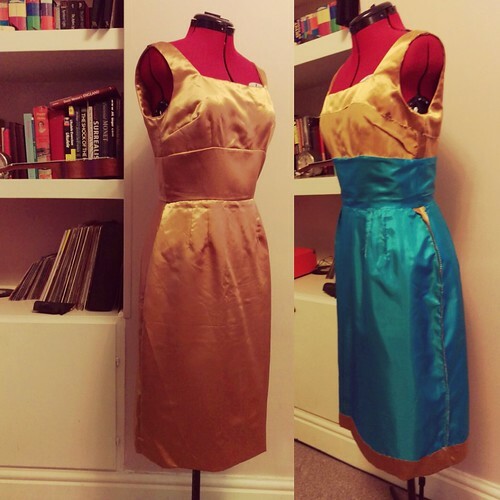 I learnt that even with nearly a year off sewing anything I’m still quite competent and I still know what I’m doing. 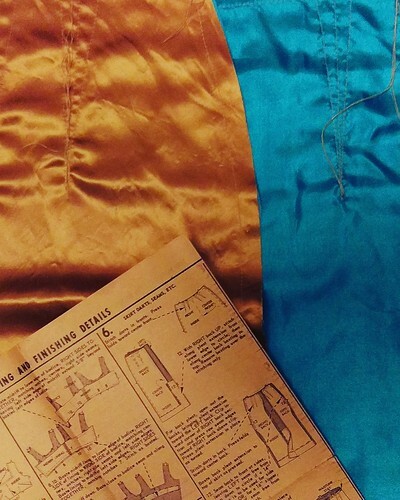 I learnt that lining something may be a pain in the arse but it’s really worth it and that there’s nothing to be scared about when it comes to what I would have previously considered tricky fabric. Mostly I learnt that there’s nothing wrong with mistakes and everything can;t be perfect all of the time. 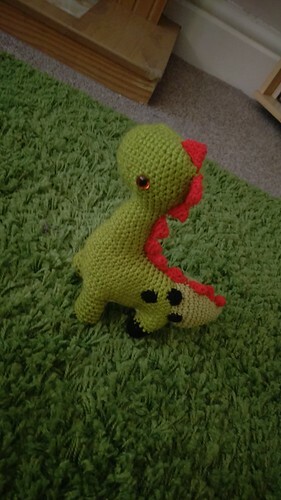 I wish I didn’t have the little hole marks where I’ve unpicked the stitching but it will always be a reminder of the first time I sewed with something other than what I previously considered ‘safe’ fabrics and I certainly wont be making the same mistakes again. We’ve got to get some things wrong to learn a lesson, right? Overall I am extremely happy with how it turned out. What do you think? 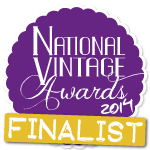 So roll on 2017….I still have some glitter speckled pink satin from Vegas in my stash…watch this space! 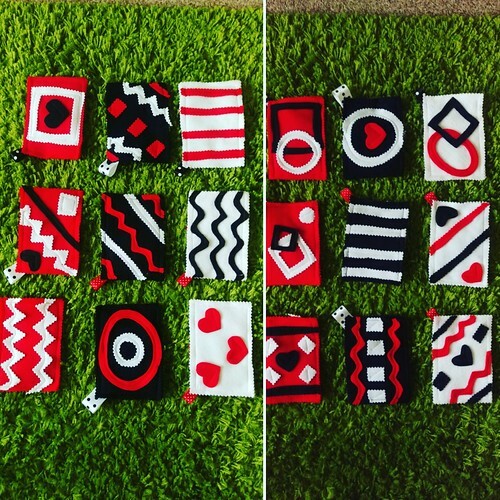 This week we started our pinny using some of the techniques we’ve learnt over the last two weeks, and learning some more. 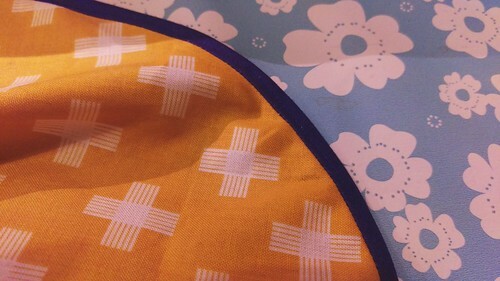 As everywhere seems to be having a remnant sale at present I headed over to plush addict and picked up some end of the bolt plain purple and some mustard cotton with a white cross print. It was a bit of a gamble as I wasn’t entirely sure what weight they’d arrive in. 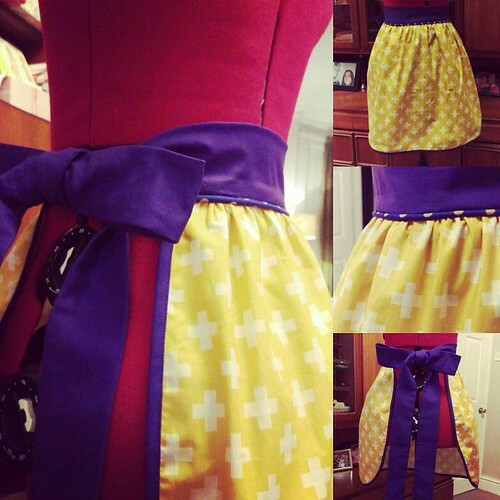 Turns out the mustard is lighter weight than the purple but I am hoping it wont matter too much when I using bias binding to edge the pinny. 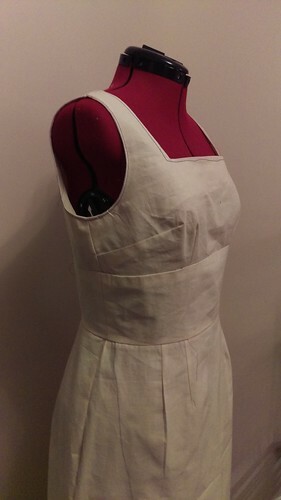 On the plus side, the waistband and ties will be less likely to fold when I’m bouncing about the kitchen in my fab new apron. 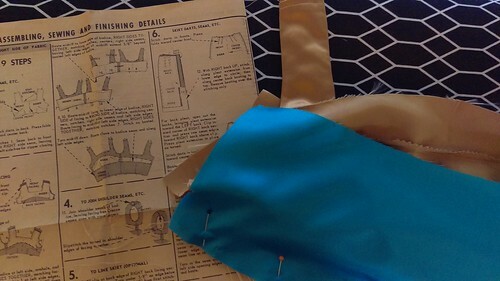 The first thing we did was sew the waistband to the ties, then we folded and sewed leaving a gap for the main part of the pinny to be added to the waistband. 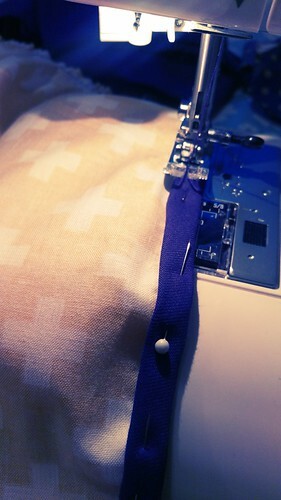 Alison helpfully used her turning tool to turn the ends inside out before I pressed them (rod for my own back with the thicker purple fabric…). 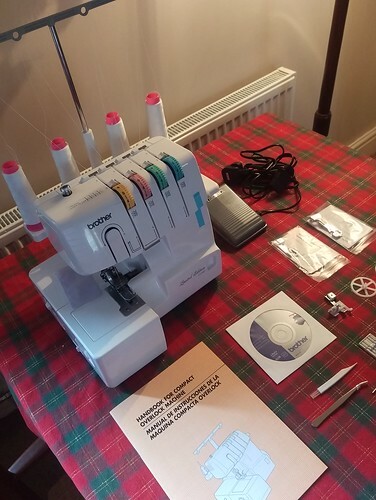 I might well be sold on the tool, I normally use a safety pin and some embroidery floss, Alison did mention sewing in a piece of ribbon into the seam allowance too which I’d never thought of before, but would probably make things a million times easier than fussing about and getting frustrated. 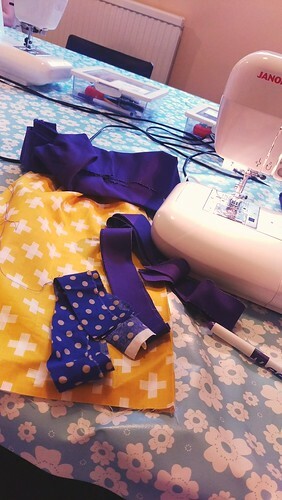 After pressing the ties it was time to sew a gather on the main piece of the pinny, which went like a dream, especially now I know about using the pins to anchor the ends! We then moved onto piping, which Alison gave us a demonstration of making, using a standard zipper foot. 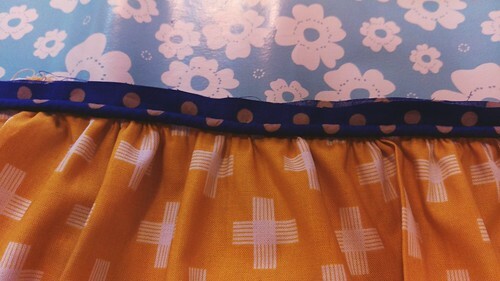 The piping will be going in between the waistband and the main pinny piece. 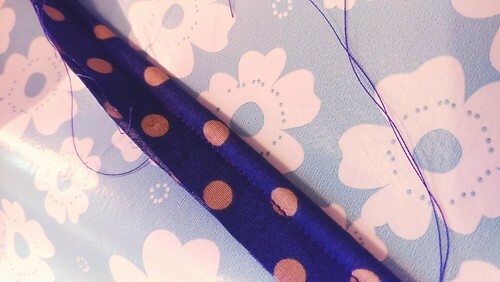 I was generously offered some lovely polka dot fabric to make mine with, which was a great match to both of my fabrics. Unfortunately the piping feet were no where to be seen, so it was decided that we’d wait until week 4 to make the piping on our machines and attach to the pinny. 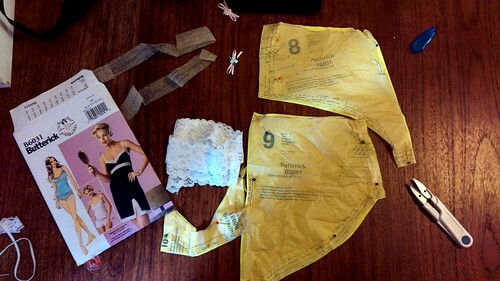 This was no great bones for me as I like to get everything marked up and cut so I leave the fun bit (sewing!) to the end in one go. 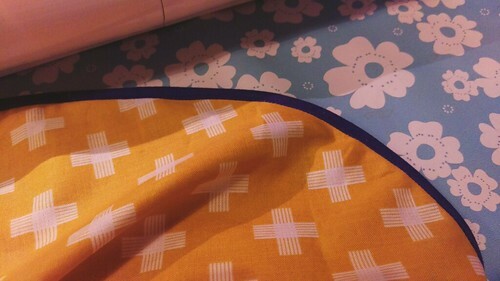 Next up was bias binding. 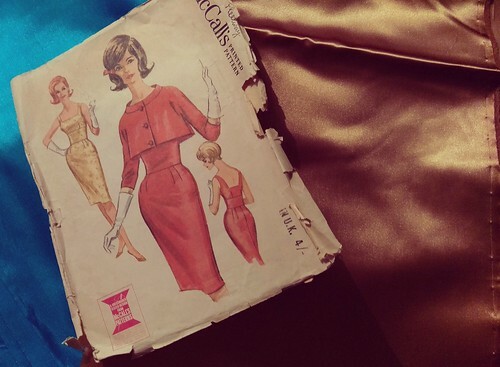 I do have some experience with this, in fact the first thing I ever made and blogged about on here was this dress, which had a huge amount of binding on it. 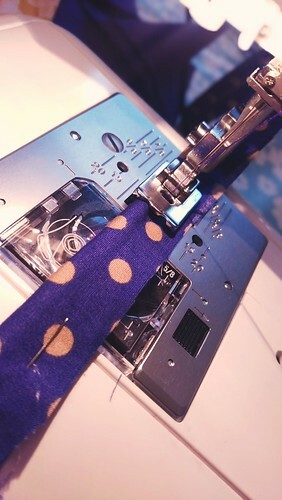 As it was my first foray into bias binding I wasn’t so great at joining strips of it up though and we were taught two different methods of dong so in this class. 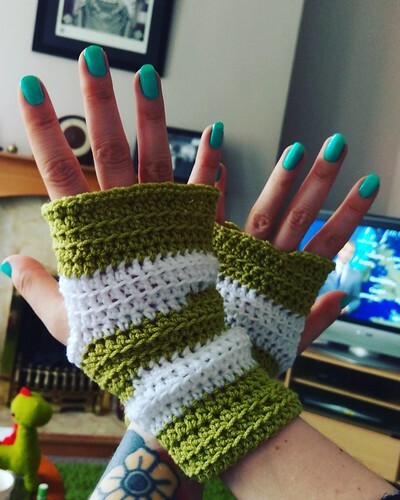 I went for the cut the ends off on the straight and sew method though, as the other looks too complicated for my dyslexic brain to even attempt! 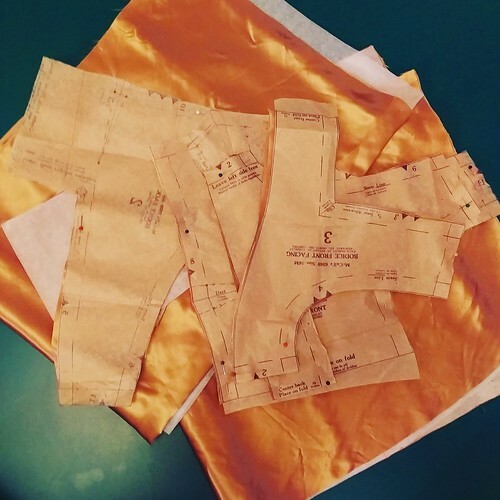 I did my usual – folding the material at a right angle and pressing to make the first line of where the fabric needed to be cut and then measured amounts on either side. 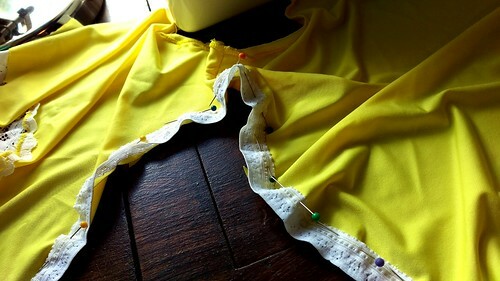 There is a waste of fabric if you do it this way but I am sure I will use it to line something or for a little craft project along the line. Once my strips were cut and joined the end of the class was nigh and I was ready for week 4. 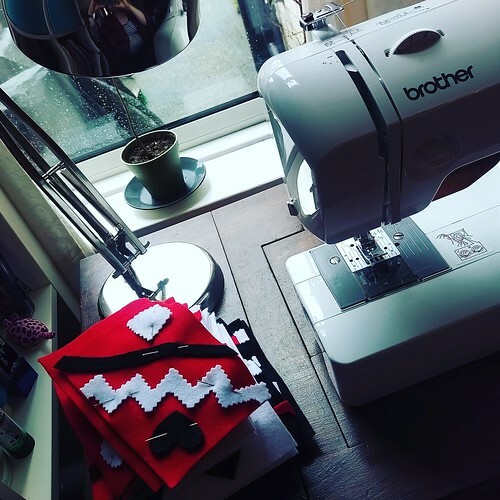 We started week 4 having everything pre-cut, which was great because, as you know if you’ve followed my other posts, this is my least favourite bit of sewing! We cracked on with the piping when the class started, Alison had nicely donated a piece of polka dot fabric from her stash so I had something to break up the purple. It was a perfect match (thank you!). 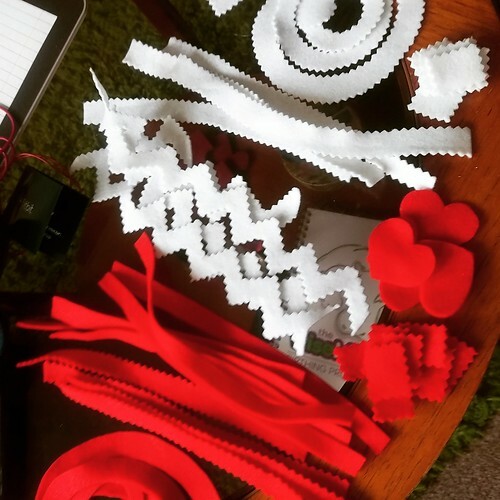 Piping is pretty easy, the foot does it all for you and it would be lovely to use to finish or decorate a garment with (piping foot now on my Christmas list). 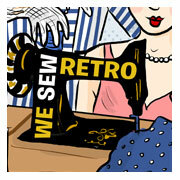 Using the piping foot we then sewed it to the main piece of the skirt, which went like a dream! 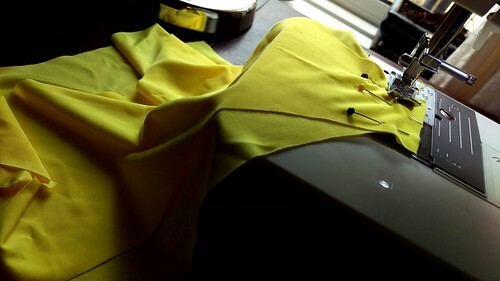 Then it was time to crack on with the bias binding. 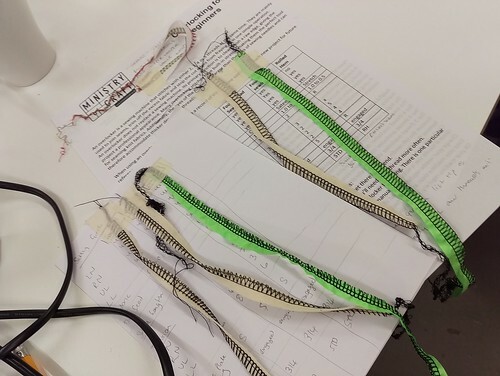 Alison shows us various ways of doing this, and I went for possibly the one which would take the most time but as my binding was in a thicker material it appeared to be the sensible option. 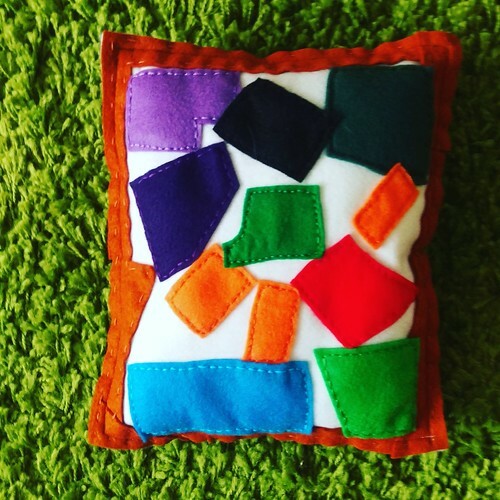 I sewed one side and then pressed open along the seam line, then folded the other half and pressed again, then pressed closed then pinned and sewed to finish. I have no idea if that makes any sense in the way it’s worded, but it worked for me. 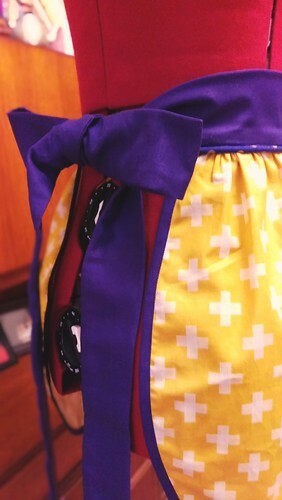 The curve of the apron came out really well, even with the thickness of my binding. 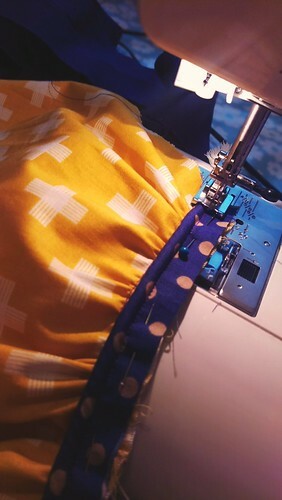 When I’ve used bias binding previous, I’ve made my own with a tool and even though this way was more labour intensive it really has come out well and better than last time. I think I will most likely do it this way and put the extra time in from now on as the finish looks so good. 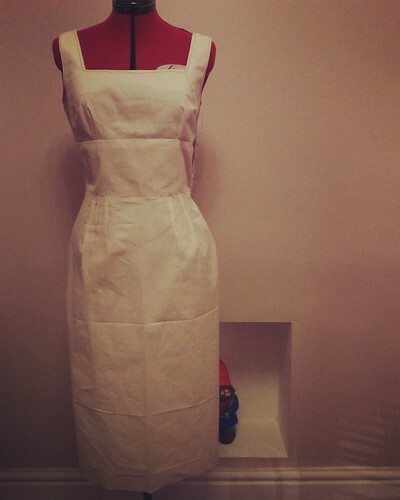 The final thing to do was to sew on the waistband et voila my apron was done. 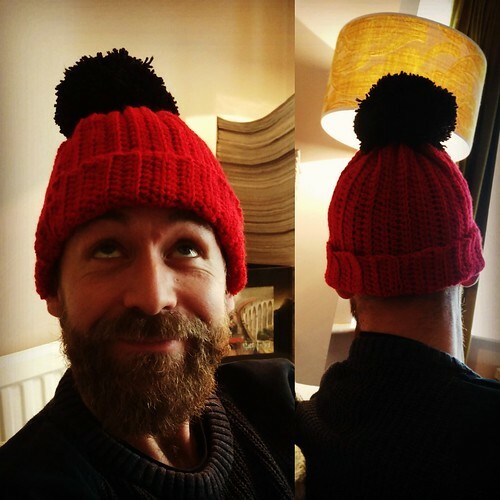 I’m really pleased with it. No photos of me in it as my bump is so big now it looks quite comical (also quite satisfying putting it on my tailors dummy and realising my waist will be that size again!). I was a little sad to be finishing the course, MoC have been so great and it’s been brilliant learning new thing and new ways of doing old things which I think will definitely help me out in future. 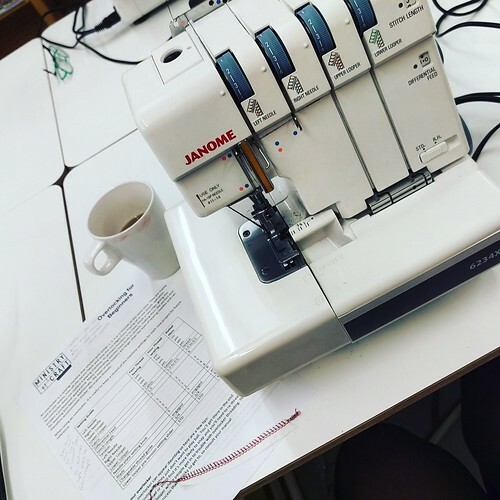 It’s also been great meeting the other ladies on my course too and fun to be sewing together in a creative environment. I’ll definitely be back for another course in future.